Today: The Omnomnivore takes a bite out of Ovenly. I have a confession: I am a perpetual snacker. I work nights at a bustling restaurant and usually don’t get the chance to sit down and eat until 2:00 AM when my shift finishes. Sometimes I’m so tired, I don’t even bother with proper food. Instead, I sample the restaurant's desserts, soups, and sauces all night long ("Quality control!" I'll say), leaving behind a jar of dirty tasting spoons as the only evidence. A bite here, a taste there -- I don’t need much. Snackers like me know how satisfying tiny bites of something decadent or entirely new can be. We don’t necessarily need a full meal because we’ve been grazing all day. Luckily for us, Agatha Kulaga and Erin Patinkin understand. They even wrote a book with us in mind: Ovenly. More: Try Ovenly's practically perfect Currant Rosemary Scones. 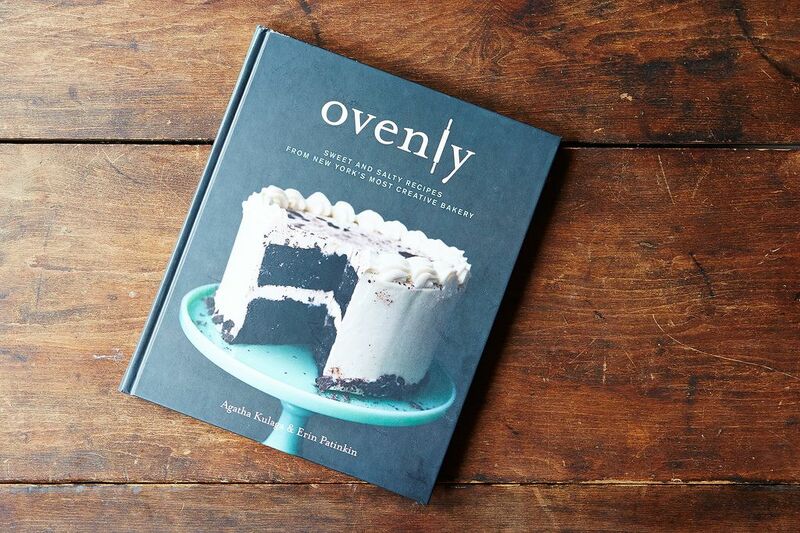 I originally picked up Ovenly because I wanted to eat the cover. The cake -- Black Chocolate Stout Cake with Salted Caramel Cream Cheese Buttercream -- looked so moist and delicious that I briefly considered whether I could absorb its flavors by merely pressing my face against the cover. Ovenly is a gem for creative bakers -- the ones who love big flavors, as well as those who realize halfway through a recipe that they're out of sugar or have one egg too few. 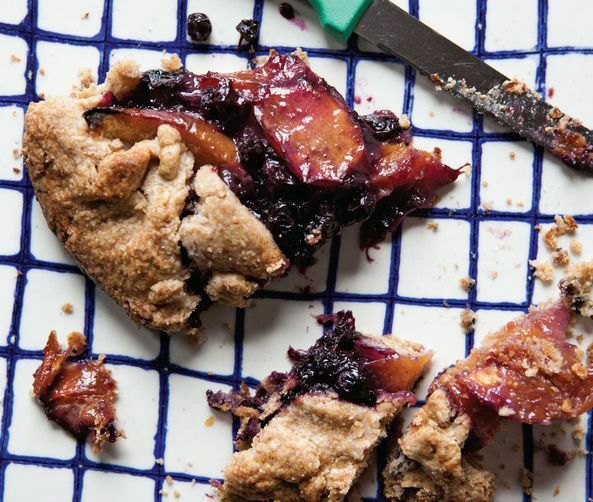 All of the recipes in Ovenly are good-natured and resourceful, and each page contains a recipe that's a beautiful combination of sweet and savory, traditional and experimental. Both of the authors are self-taught bakers, which tells you how much love, hard work, creativity, and curiosity went into Ovenly. Both Agatha and Erin draw on their families and cultures for inspiration, and their writing is clear and genuinely enthusiastic. These women love what they do. They are honest about their experiences, too: Few people want to admit that they had to sleep in their car and eat leftover shortbread or spoonfuls of cookie dough to keep from keeling over from sheer exhaustion as they built their business -- much less do it with the charm, humility, and pride that emanates from this book. I admire many aspects of Ovenly: its fluid stories and easy recipes, its delectable photos, and Erin and Agatha’s flexibility with recipes and flavor combinations. 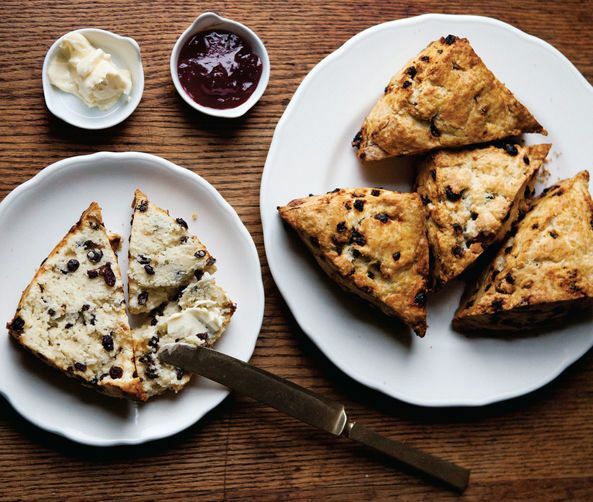 For many of the recipes, like the scones, the authors suggest their favorite iterations, but they also encourage readers to try out their own favorite flavor combinations. I tried the Cheddar Mustard Scones, which were magnificent -- buttery, flaky, and cheesey, with a bite of spicy mustard. I took their advice and ate mine with honey -- I'm glad I did. I also love how Ovenly documents the step-by-step process for creating many of their goodies with beautiful photographs. Adding butter to a dough until the dough resembles “a coarse meal” can and will be interpreted differently by each individual. Providing photos of each step makes all the difference between success and discouragement. More: Ovenly is one of New York's favorite bakeries. Read our review of their cookbook here. Working through the book, I picked out recipes to test that intrigued me (Caramel Bacon Hot Tarts? Peppery Pistachio Brittle? I think yes! ), as well as more classic ones (Salty Super Dark Chocolate Brownies). I forced myself not to make intuitive leaps or fall back on my own shortcuts, but rather to follow the instructions exactly as they were laid out. That being said, Erin and Agatha did not lead me astray. While they use mostly volume measurements, they also included some weights for those ingredients that benefit from a more accurate measure, like shredded cheese. Ovenly reads more like a friend reciting a recipe to you over the phone than one that's sitting static on the page of a book. And while I haven’t yet baked the cake on its cover, I will soon; I already know that it will be delightful and bursting with flavor, so I'll save it for a special occasion (if I'm left alone with it, I’m sure one bite snatched on the sly won’t be enough). When I’m ready to get started, I know that my new friends Erin and Agatha will be standing by, ready to walk me through the recipe. I need to know more about the peppery pistachio brittle -- I love spicy brittle! Nicely written review that definitely piques my interest in a book I likely would've overlooked. Thank you! Likewise about your review. Eugenia Bone's ethos is one I've been eying for a long time, I'll definitely have to give her book a try! As if I could make that cake without you knowing! You'd be able to sense it! Thank you! It really is a marvelous book. I hope you enjoy it!